Seafair is a widely-celebrated tradition for many residents of the greater Seattle area, but the annual boating festival can also be a very dangerous place because of the number of boaters who decide operate boats while under the influence of alcohol and drugs. 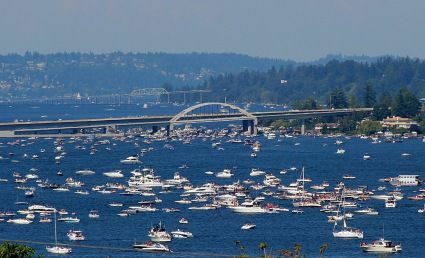 According to a recent report from the Seattle Times, a total of 34 people were reportedly cited for boating under the influence of alcohol or drugs (BUI) during Seafair-related events on Lake Washington throughout the weekend. And while that may seem like a high number of drunken boaters, it’s a more than 40 percent drop in the number of BUI offenses from the same weekend in 2012. In that same Seattle Times article, it is reported that there were a total of 61 people cited for BUI during Seafair weekend in 2012. This year, police contacted a total of 473 individual boats – also a decrease of 32 percent compared to last year’s event. While water safety advocates would likely rejoice over the fact that there was such a significant decline in the number of boaters driving under the influence during the party-filled weekend, there is a chance that the statistical decline may be misleading and could be attributed to other factors. According to Seafair officials, attendance for this year’s event was down significantly from 2012. Ticket sales were down approximately 20 percent, which could be largely attributed to the fact that the Blue Angels – the United States Navy’s flight demonstration squadron that regularly performs during Seafair – were absent this year. Budgetary strains resulted in the Blue Angels not performing at this year’s event, and that may have had an impact on attendance. The Seattle Times also reported that 15 boaters who were suspected of being under the influence had refused to take breathalyzer tests. Under recently-implemented legislation, boaters who refuse a breath-alcohol test are subject to receiving a citation, which carries a fine of up to $2,050.